Road Runner Girl: Family Camping With the Cub Scouts...Night 1! 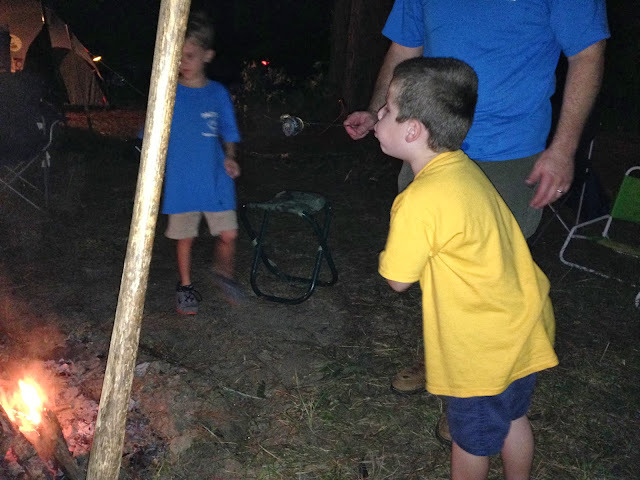 This weekend was our annual fall camping trip with the Cub Scouts! 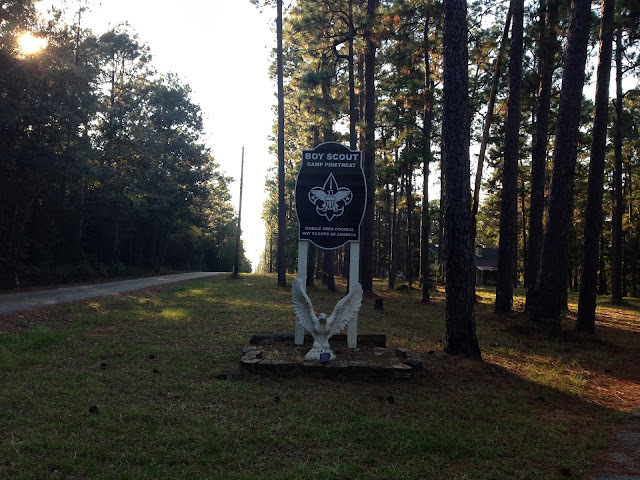 Last year was our first year in scouts and first year camping and we had a blast! So we were all looking forward to doing it again this year! We loaded up right after the boys got home from school on Friday and headed 45 minutes away to the campground. 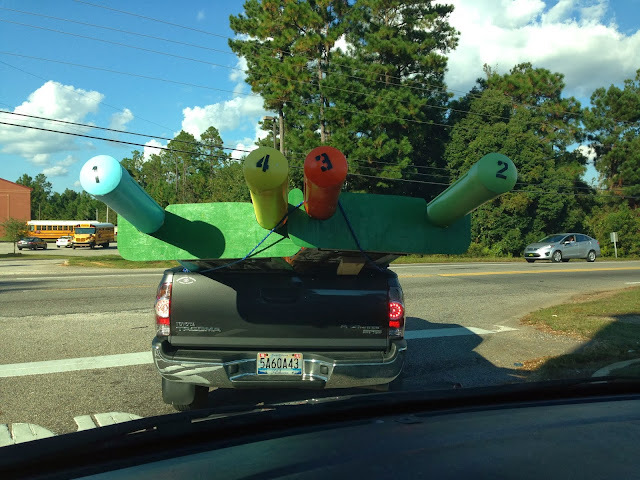 We had to drive two cars this year because Andy had to bring over these for the Rain Gutter Regatta Boat race! I'm sure several people were wondering what that was in the back of his truck! 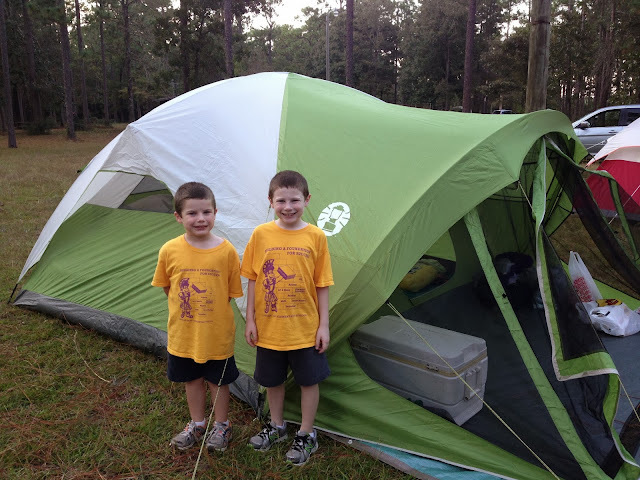 Finally we reached the campground and the boys were so excited!!! We unloaded the rain gutters and then we found our camping spot. 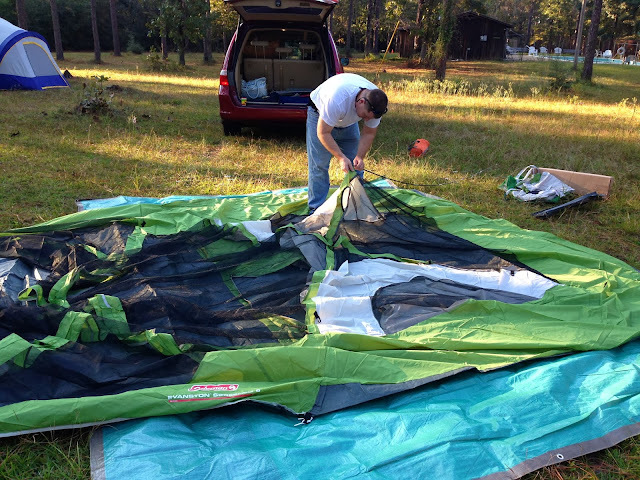 Andy and the boys got busy setting up the tent! This year we had our own tent! Last year we had borrowed one since we weren't sure whether we would like camping. Andy did lots of research finding the tent he liked the best and the best price. Andy liked this one the best because it had a little screened in porch on the front. It was perfect for taking off our shoes and not getting grass in the actual part of the tent we slept in. After we got everything set up we ate the dinner we had grabbed on the way. Then it was time to relax and play! 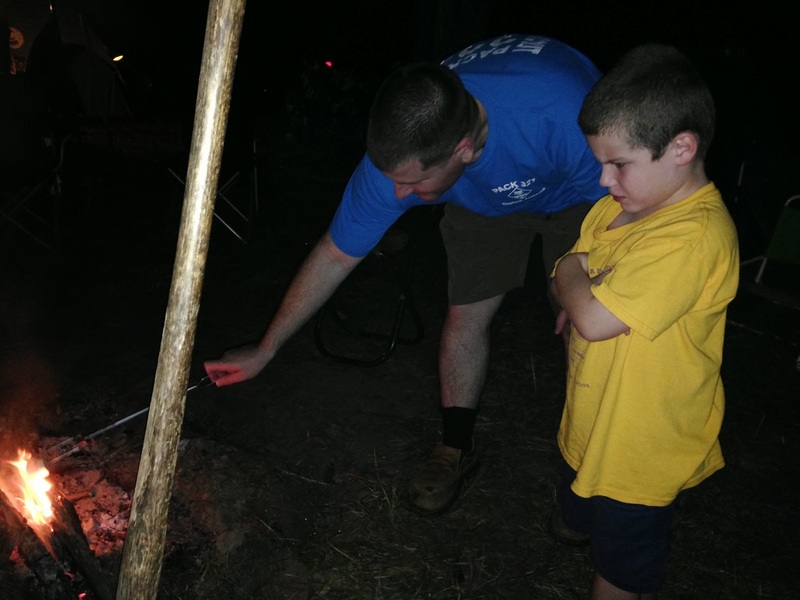 There were no scheduled activities for the night so we had fun sitting around the campfire and visiting with everyone! 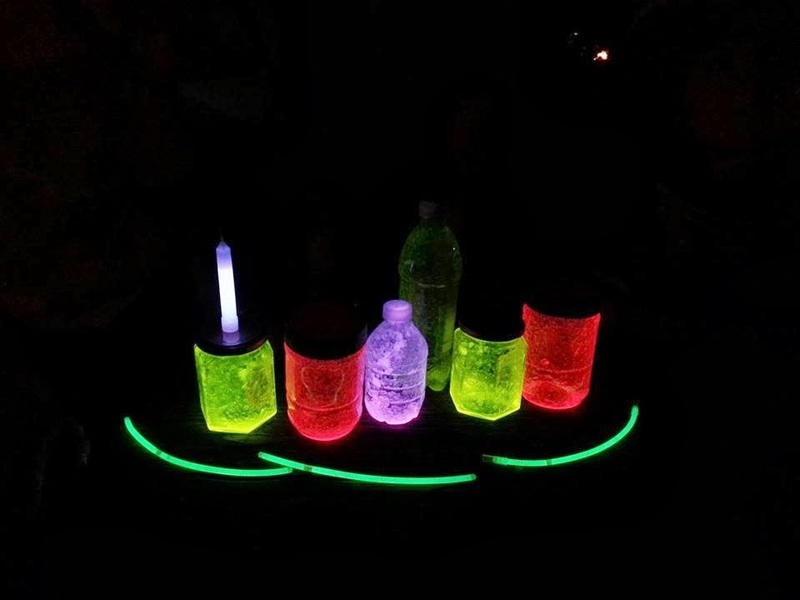 Of course there were glow sticks! And we even made the ever popular "Fairies in a Jar" that I've seen on Pinterest numerous times! I think ours turned out pretty good! I LOVED the red ones! And of course...this momma had to have pictures with all her little men...and her main man too! They had a hard time keeping their eyes open for the flash lol! The boys ran around in the dark with their glow sticks for hours! They had a blast! When else are they allowed to play outside after dark? And stay up hours after their bedtime? We finally convinced them to go to bed (or at least get into the tent) around 10:00. Of course it was about an hour before it quieted completely down. How did we sleep? Not great lol! I kept hearing crickets, cicadas, and all those other night animals. We even heard an owl which I thought was super awesome! Even though I didn't sleep well I kind of enjoyed hearing the night sounds! I know....I'm weird! Stay tuned tomorrow to find out about Saturday and the Rain Gutter Regatta Boat Race! QOTD: Do you like to go camping? 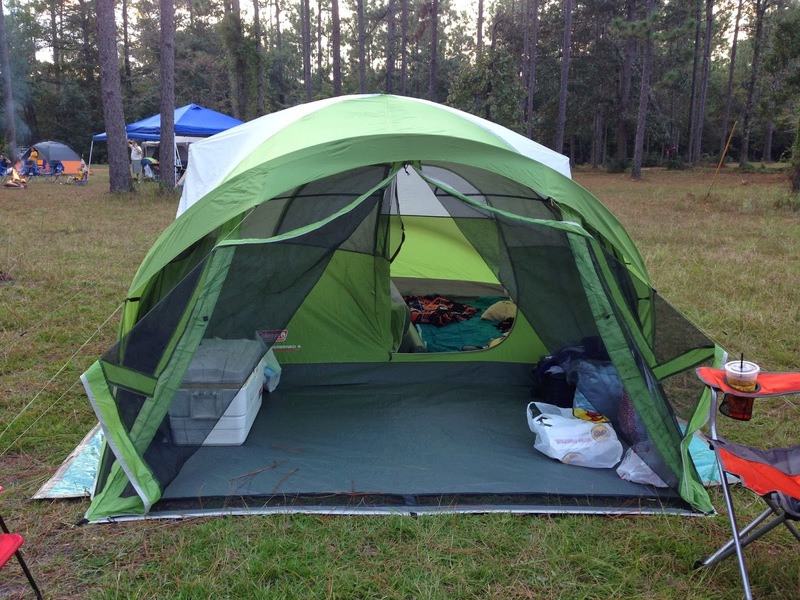 Do you prefer a tent or a camper?